PORTLAND, Ore. (KOIN) -- A 61-year-old man suspected of shooting his wife on Sunday was arrested in the early hours of Monday -- after police found him hiding in a cabinet. Hillsboro police said Fidencio Diaz-Equiza was charged with attempted murder, 2nd-degree assault and unlawful use of a weapon. He was lodged into the Washington County Jail. 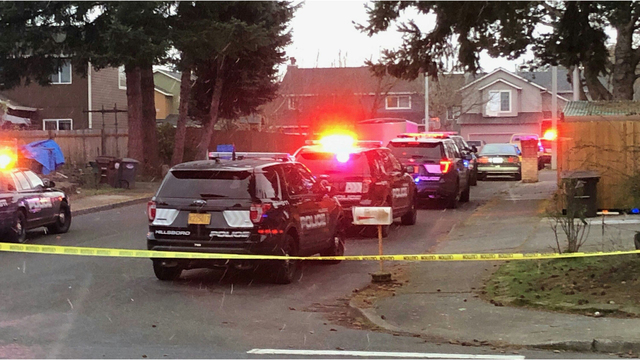 The investigation started Sunday evening when a 59-year-old woman was shot at a home near the Sunset Esplanade shopping area in Hillsboro. The woman -- later determined to be Diaz-Equiza's wife -- was taken to the hospital with a serious gunshot wound. She's expected to survive. The shooting happened in the 2700 block of SE Tumblestone Drive.